Light and Communications: In the event of a power outage caused by you’ll have independent access to your own means of lighting and communication with the outside world. First Aid:These first aid items can assist with minor injuries and protect against serious health concerns in disaster circumstances. 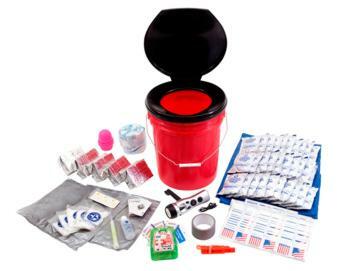 This classroom lockdown kit was designed using advice from experts in the emergency preparedness industry. It follows guidelines given by government agencies and non-profit preparedness organizations.